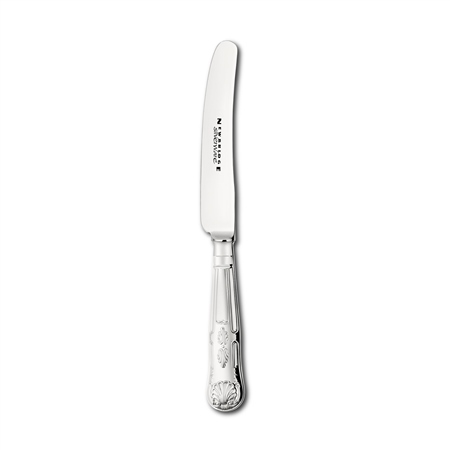 The Newbridge Silverware E.P.N.S cutlery collection is distinguished by wonderful craftsmanship, detailed finishes and superb quality materials making the child knife an excellent choice for the perfect table setting. Silver is a relatively soft metal that requires sympathetic handling and cleaning, by adhering to the care instructions, cutlery of this quality will last for decades. For information regarding dishwashing guidelines, hand-washing guidelines, polishing silver-plated cutlery and more, please visit our Care Advice for EPNS Cutlery page.